I love aircraft, any kind of aircraft, especially new aircraft and the Air Force Research Laboratory’s most recent effort is no exception. The X-51A Waverider, a hypersonic flight test demonstrator built by a team from the Air Force, Boeing, Pratt & Whitney Rocketdyne, the Defense Advanced Research Projects Agency (DARPA) and the Navy had a successful flight on May 26th! Hypersonic flight is described as Mach 5, five times the speed of sound! The DoD Roundtable discussed this $246.3M program and heard from Charlie Brink, Air Force Research Laboratory’s X-51A Scramjet Engine Demonstrator program manager; Joseph Vogel, Boeing Phantom Works/Defense, Space & Security Director of Hypersonics X-51A program manager; George Thum, X-51A Program Manager, Pratt & Whitney Rocketdyne; and Lt Col Danny Millman, B-52 test pilot that carried the Waverider aloft to launch at 49,500 feet and .78 mach. Lt Col Millman said it was a beautiful view from the cockpit and I was just a bit jealous. The team reported they were extremely pleased with the results as the Waverider reached Mach 5 with several objectives met. First being that the scramjet technology works and worked well. 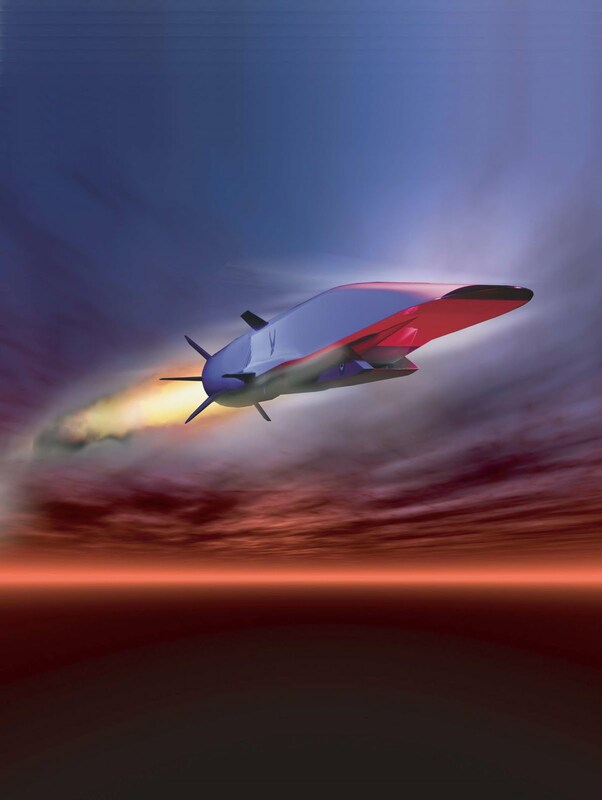 Scramjet engines are a new technology that uses supersonic speeds to force combustion in its ramjet engine! The potential to reach outer space with this type of engine in a vehicle is a possibility according to the team within 15-20 years. With a successful first launch and three remaining vehicles to fly test missions with the idea does not seem unreasonable with capabilities to reach global locations at a mile per second! The launch release from the B-52 went well with a booster light off and the correct projectory for a successful test which will make follow on test flights of the remaining Waveriders easier. The team was not able to report when the next test would be conducted. The team reported challenges with the range that caused an abort on Tuesday due to a ship in the ocean off of Point Mugu, California (the Navy range in that area) but the Navy responded with the launch of five P-3 aircraft on Wednesday to clear the range and insure the safety of the vessels. About 140 seconds of data was collected before range officials ended the flight due to loss of telemetry information (a three second rule similar to basketball that said they had to stay in contact or the flight was over). Despite that Charlie said, “he could not be happier” and he was “proud of what they did”. I have embedded a great video of the launch for you to see and if you would like to listen to the audio or read a transcript of the Roundtable please go to DoDLive. Thank you to all the participants of the Roundtable! Your enthusiasm was certainly evident and I enjoyed learning more about this project!